click on image above for large jpeg image or click on the link at the bottom for a PDF version. 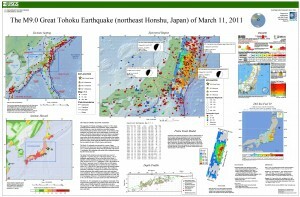 Continuing readjustments of stress and associated aftershocks are expected in the region of this earthquake. The exact location and timing of future aftershocks cannot be specified. Numbers of aftershocks will continue to be highest on and near to fault-segments on which rupture occurred at the time of the main-shock. The frequency of aftershocks will tend to decrease with elapsed time from the time of the main shock, but the general decrease of activity may be punctuated by episodes of higher aftershock activity. 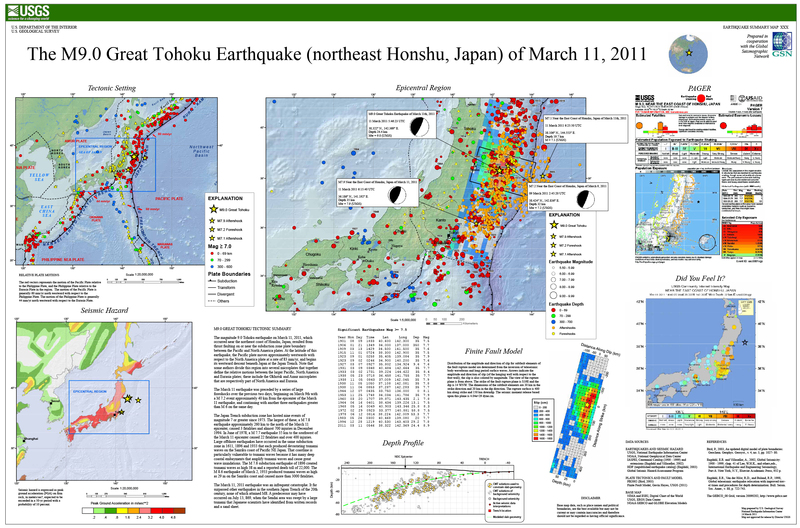 The risks of great earthquakes at locations far from northern Honshu are neither significantly higher nor significantly lower than before the March 11 main-shock.